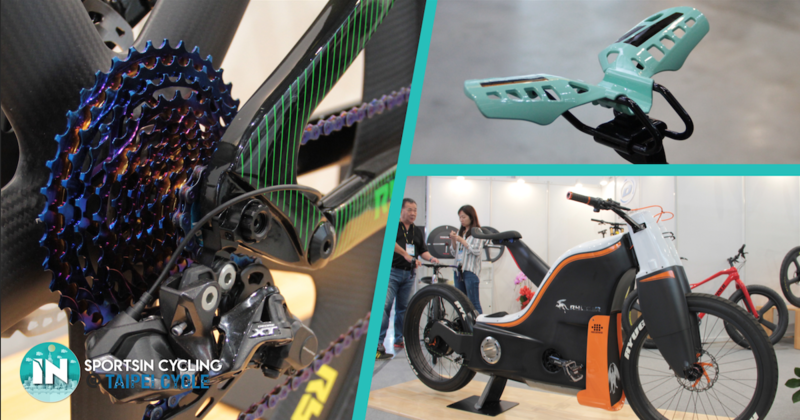 The 32nd Taipei Cycle Show has officially started today 27 March 2019. The event will be open to the public from 29 – 30 March 2019. This grand event boasts a total of 4,720 booths in 3 different halls at Taipei Nangang Exhibition Centre. As we had the privilege of being invited to attend the four-day exhibition, we wanted to bring you highlights of the most interesting items we found for each day. Just so you know, we found a $500,000 bike, if you can believe it. 1. 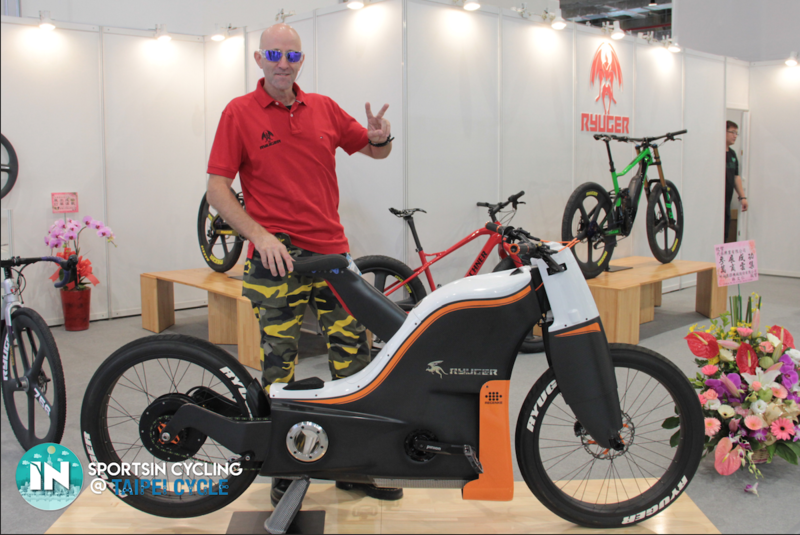 This bike took USD500,000 and 3 years to build! Mr Brent Richards from Ryuger has worked with McLaren to build this beast, it took 3 years and half a million USD. Why you might ask? We don’t know either, but it’s definitely pretty! 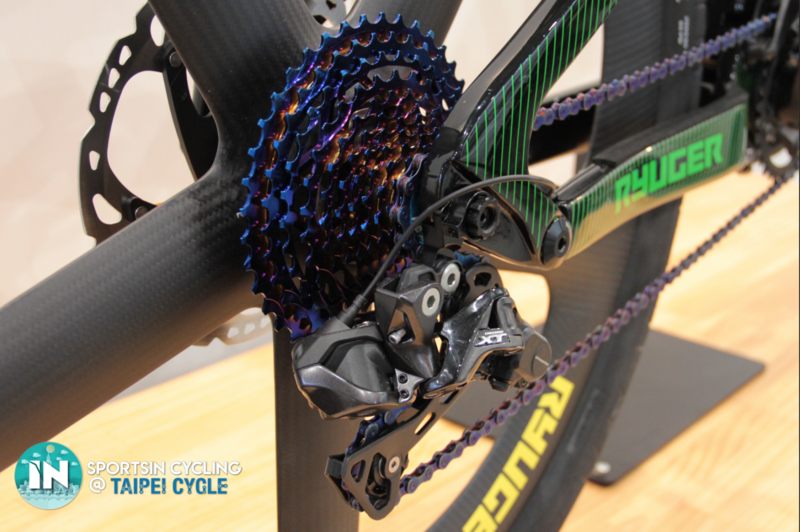 It’s also a full carbon pedal-assist bike that can produce an insane 5400 Watts of power. But sadly, due to the road restrictions in Singapore, we’re afraid it might just be a ‘show piece’. Some might have seen this product online, but given how cool and weird the ‘concept’ is, we just HAD to try it out. It does take some time getting used to, but the clear difference is that you won’t feel the usual discomfort ‘down there’ . The Falcon’s flexible body is made from German-engineered plastic which can be manufactured in a variety of colours. With the steel alloy saddle rails, the Falcon can take a maximum load of 100kg, while weighing at only 207g. 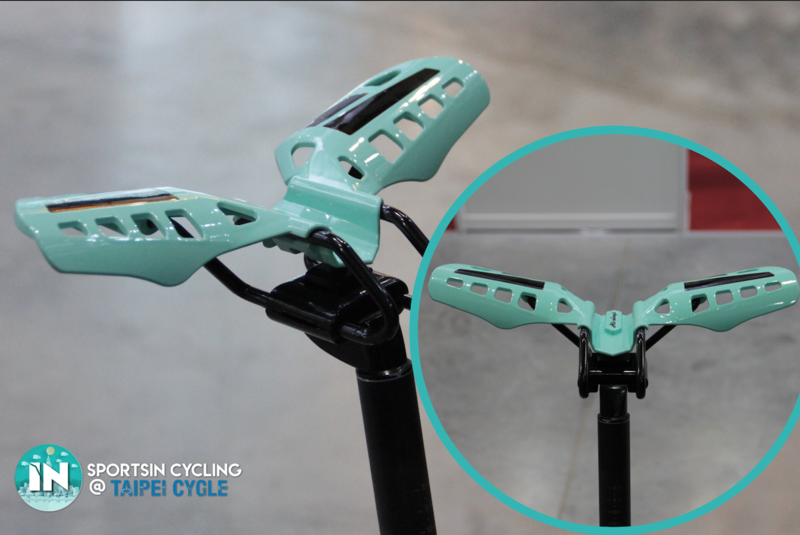 The Falcon saddle from All-Wings is designed for long-distance cycling. It completely removes contact of the seat from the central area, totally avoiding genital numbness. All-Wings also claims the Falcon saddle brings performance benefits such as increased muscular strength, and that we’ll see it at some international races this year. Talk about having multiple functions in a single gadget; the Arofly Powermeter claims to be the smallest power meter in the world. Replacing your bicycle valve cap, it measures the subtle changes of your tyre pressure while riding to give you a power reading. Compared to conventional power meters like those installed on the crank-arms, hubs, or chainset, the Arofly Powermeter is rather affordable and can be easily transferred from one bike to another. We’ve been told that it’ll be relatively affordable while giving ease of installation. 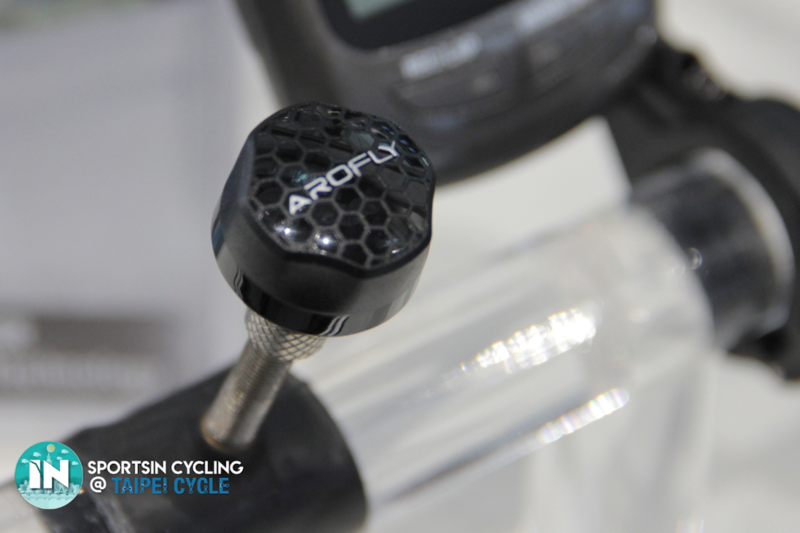 If the promises hold up, Arofly might actually be a good solution for cyclists who are interested to start training with a power meter. Seasoned cyclists will know the importance of getting the right air pressure in the tyres. As such, knowledgeable cyclists and mechanics know the value of getting a precise tyre pressure for any occasion. 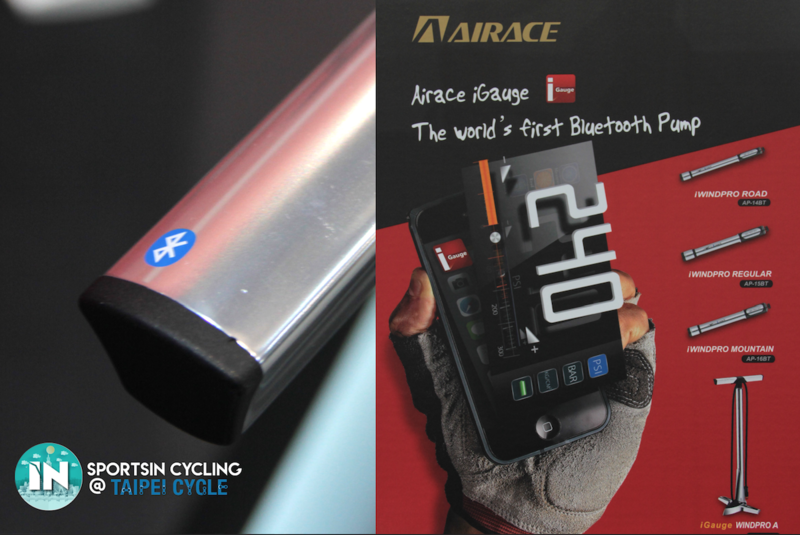 Airace introduces the world’s first Bluetooth floor pump, equipped with Bluetooth 4.0 technology. The pump’s pressure can be read on smart mobile devices directly via the “iGauge” App, giving you precise tyre pressure measurements. The iGauge Veloce A Bluetooth Floor Pump is made of high polish aluminium, giving a premium high-quality outlook. With a thumb-lock clever-twin-valve with air-bleeder fit for Schrader, Presta, Dunlop and E/V, it can fit almost any valve. Challenge it and pump as much air as you want into the tyres! Airace has assured that the secure-sealed Presta valve will not disengage even under high pressures of 240psi. If marginal gains is really something to you, this might make all the difference. Otherwise, if you’re more of a recreational cyclists, having a bluetooth air-pump does sound pretty cool. A cool looking cassette caught our eye and we thought that it was just a paint job. However, it turned out to be a ceramic-coated sprocket and chain on a Ryuger E-mountain bike. We don’t have enough information about this component yet apart from the ceramic-coating. Apparently, it makes the cassette and chain last longer. With more cyclists investing in cameras, we definitely think this is one to consider. 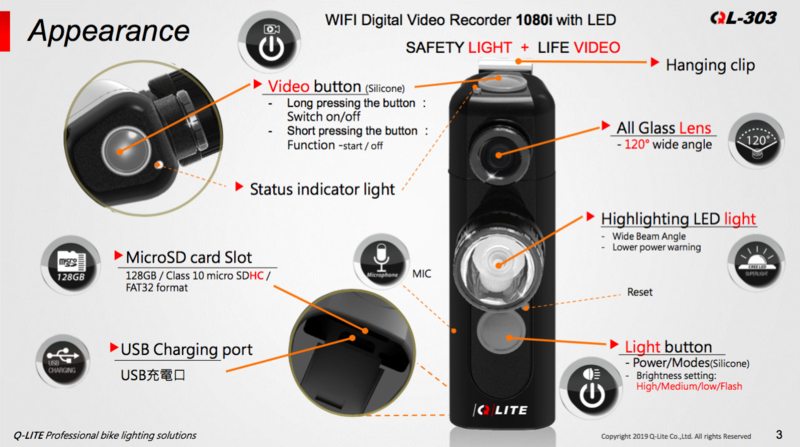 The Time Machine by Q Lite records your journey at full HD 1080p video and audio. It also features a 120 degree wide angle lens with stabilisation mode. An added feature of the video recorder is that when you are connected in Wi-Fi mode, you are able to have real-time remote viewing on your phone. The light features a super bright 300 lumens LED for front or rear bike lighting, with multiple light flash modes: high beam, middle beam, low beam, and flashing. The time machine is simple to use and recharges via Micro USB. 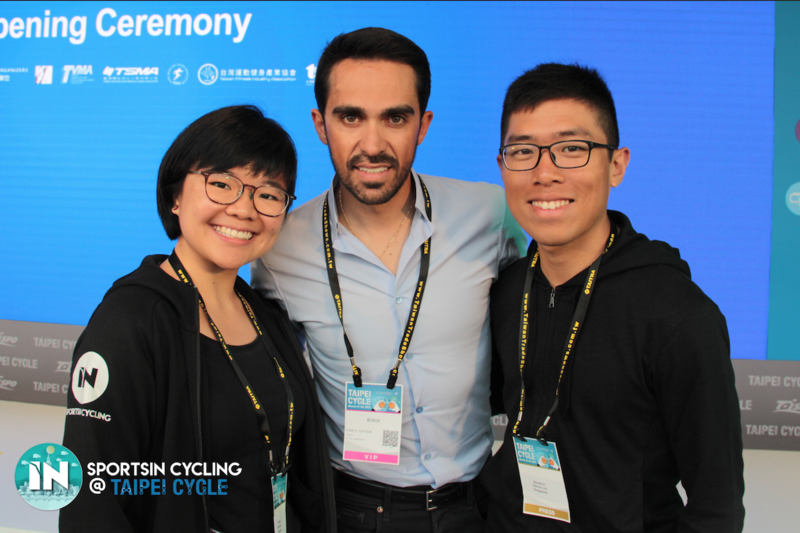 Amongst the VVIPs gracing the event were Dr Chien-Jen Chen, Vice President, Republic of China (Taiwan), Ms Hiromi Kawamura, PR Secretaryy of Tokyo 2020 Olympics Committee, Mr Jong Chin Shen Ministry of Economic Affairs, Republic of China (Taiwan) and Alberto Contador, Winner of the 2007 and 2009 Tour de France. Keen to purchase either the falcon saddle or bluetooth pump? State your interest by clicking here.